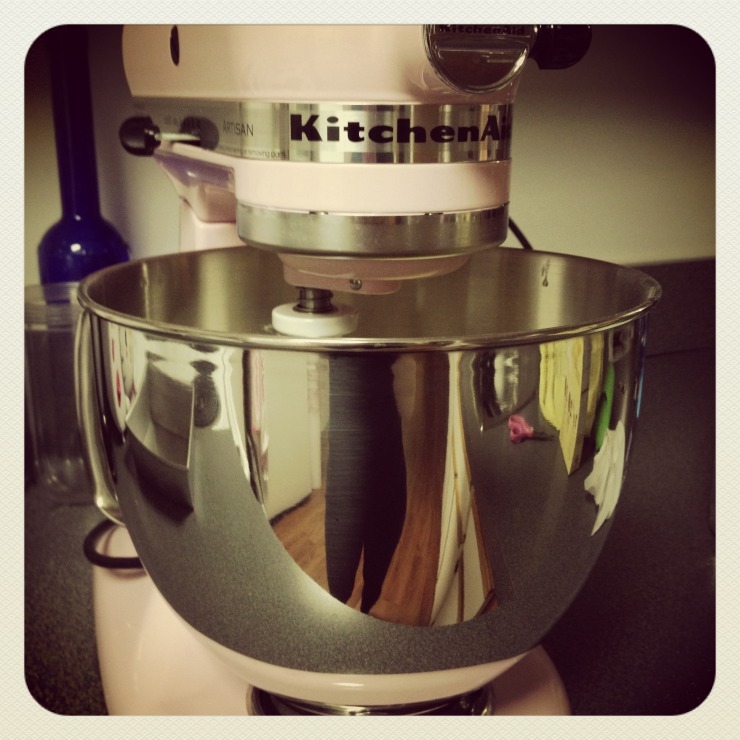 Last Christmas all I wanted was a pale pink Kitchen Aid. 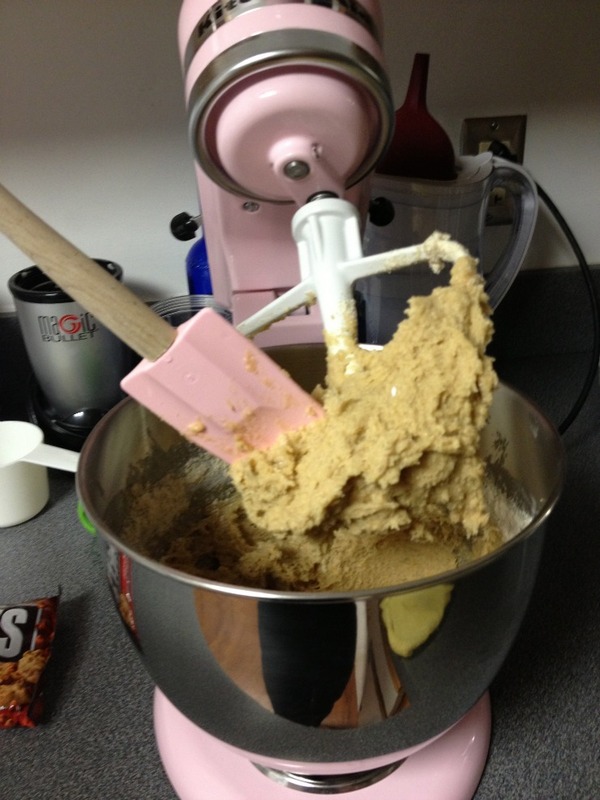 As you know I am an avid baker & cook, & this was my dream mixer. I was so happy when my parents surprised me Christmas morning with it. Due to some roommate drama & me moving out of my apartment into a suite (minus a kitchen) right after Christmas last year, I never got to use my Kitchen Aid. When I'm home I just use my Mom's Kitchen Aid, I didn't want to lug mine out of the box (they're heavy!) to wash it, use it, wash it again, & repack it to be brought to school. 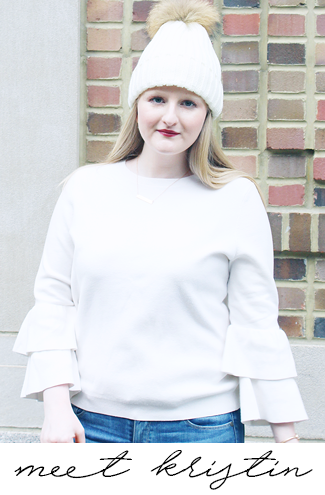 The reason I am explaining all of this is because this weekend I finally got to use it, & I am obsessed with it & wanted to share it's beauty with all of you! So now onto the recipe: Have you ever heard of Cinnamon Chips? If you haven't you are missing out! Someone brought them back for me from Hershey Park a few years back & I have been addicted ever since. The great thing is, is that Hershey Park is not the only place that you can get these little pieces of deliciousness, you can get them at a local grocery store too! 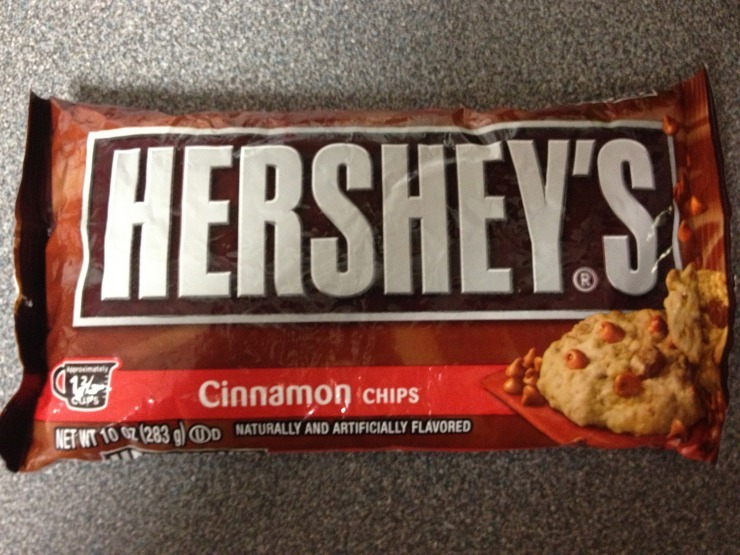 The reason I am so addicted to Cinnamon Chips is because of the amazing oatmeal cookies they make. 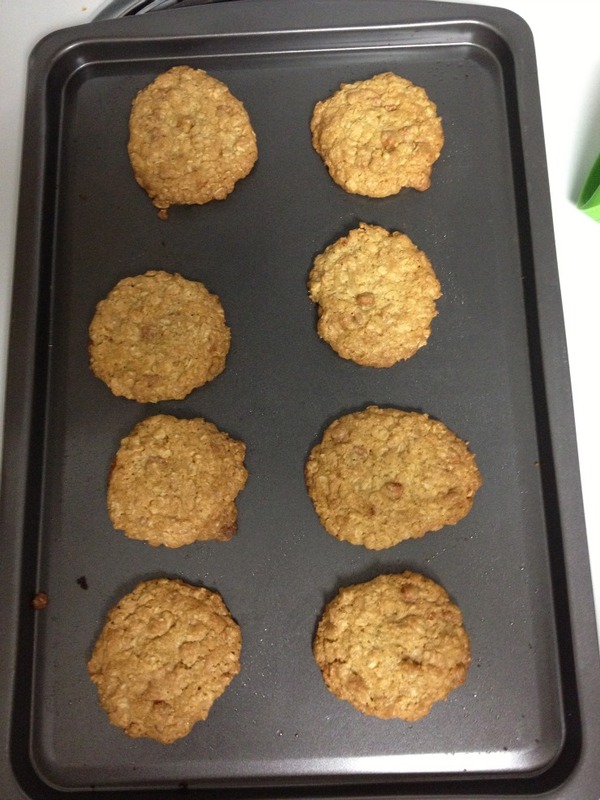 The cookie recipe is just the one on the back of the bag, but it is the best oatmeal cookie recipe I've ever used. Everyone who tries them falls in love, & you cannot even tell they are gluten free when you use my gluten free flour. -Preheat oven to 350 degrees. -Combine flour & baking soda in a bowl, set aside. -In a separate bowl beat sugars & butter until creamy. -Add eggs & vanilla, beat well. -Add flour mixture to butter mixture, beat well. -Stir in oats & Cinnamon Chips, the batter will be stiff. 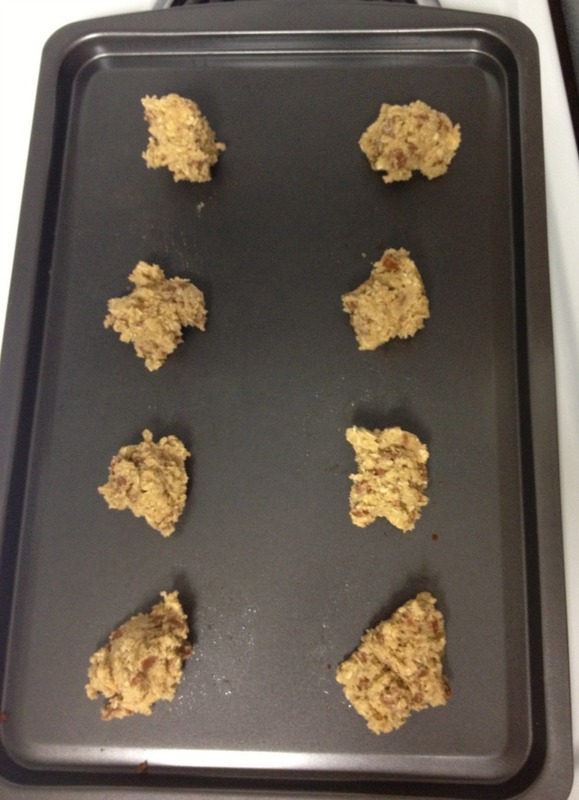 -Scoop dough onto cookie sheet with spoon or cookie scooper. -Bake until golden brown, about 10-12 minutes. -Transfer from cookie sheet onto wire cooling rack. -Cool & enjoy! 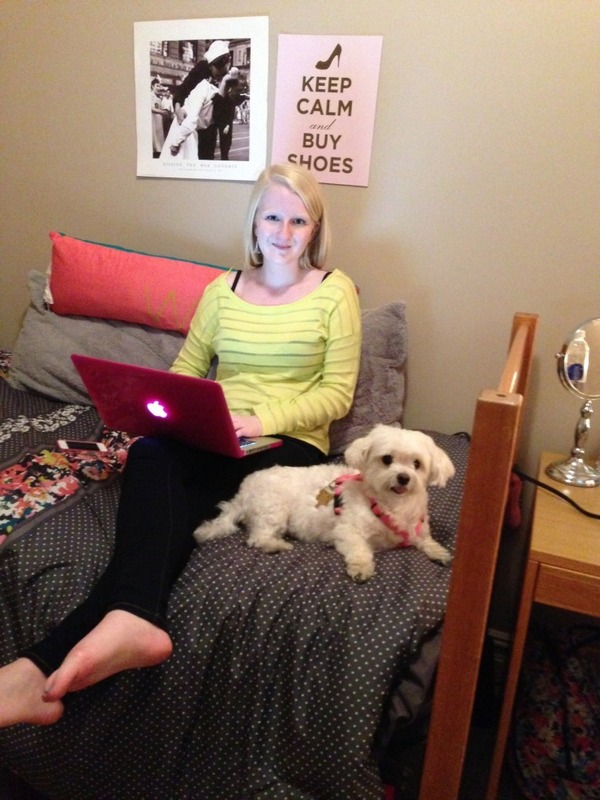 Coco & Me on my sister's bed. My Dad brought my little pup Coco Chanel to come visit me at school. I was so happy to see her! We took her on walks around my campus & my sister's campus, we walked so much that we exhausted Coco. It was great to spend time with her & my Dad at school, & I cannot wait to see them again.